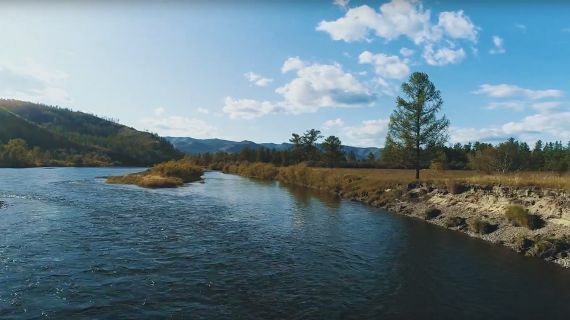 Needless to say, when Sweetwater traveled to Mongolia in 1995 to chase down rumors of 60-inch trout eating dry flies, we were shown the light. Within minutes of our arrival in the Eg-Ur watershed, we had broken a fly rod, landed an impossibly large trout, and seen a group of Mongolians watching us from the banks of the river with smiles from ear to ear. Mongolia is one of those places that restores a person’s faith in the future. It is inhabited by people who laugh through adversity and cherish their way of life the way a mother loves her newborn child. In a world, where all the cultures are beginning to blend together, Mongolia stands out as a country proudly maintaining its cultural heritage. 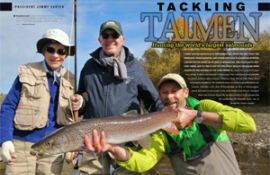 We have been operating what we consider to be the world’s best Taimen fly-fishing operation since 1995. Our operations are staffed with American and Mongolian staff that have been working for our Mongolian outfitter since 1998. For them, operating and guiding at a Taimen fishing lodge is a profession, not a summer job. We hope you will join us in Mongolia. Our Taimen conservation efforts insure that you will enjoy the same great fishing which drew us to Mongolia in 1995. 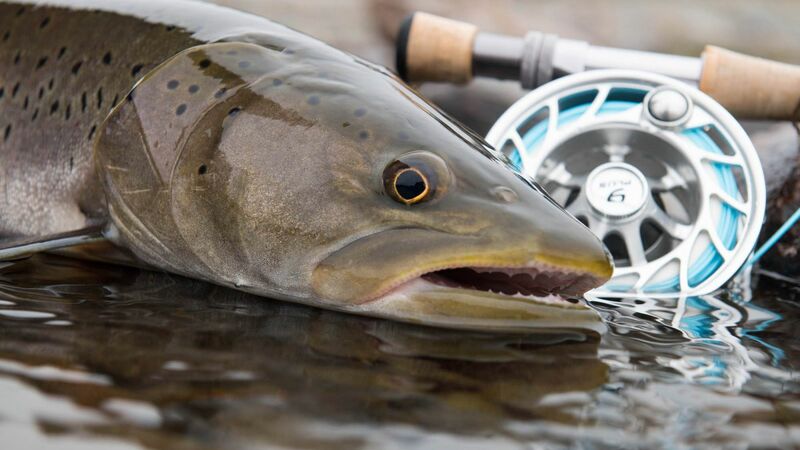 Ready to catch the world's largest trout on a dry fly? 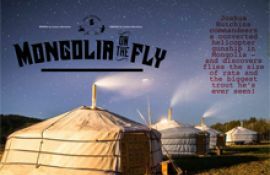 Joshua Hutchins commandeers a converted helicopter gunship in Mongolia - and discovers flies the size of rats and the biggest trout he's ever seen! Rosalynn and Jimmy Carter fished Eg River, Mongolia with a group of friends in late September, 2013. 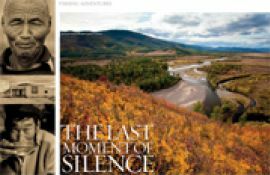 This is his story of the rivers, the people and the fishing. Can Angling Save World's Largest Salmon? Dan Vermillion still thrills to the memory of his first encounter with a fish of every anglers dream.